For limited time, get up to 20% off when you register 2 - 4 students to the same course. Learn and grow holistically from beginner to advanced coder, thinker, and creator. Develop in both breadth and depth. Acquire winning mindset and values. All these and more when you learn with our qualified educators experienced in both technical domains and quality pedagogy. Educating all for the future. Inspire computational thinking through quality learning experiences, and empower our students to make a positive difference to self, community and the world. Empowerment · Creativity · Quality · Compassion · Responsibility · Fun! Our leadership comprises a unique mix of individuals with decades of experience in Computational Thinking, each with our own complementary strengths and specialty. 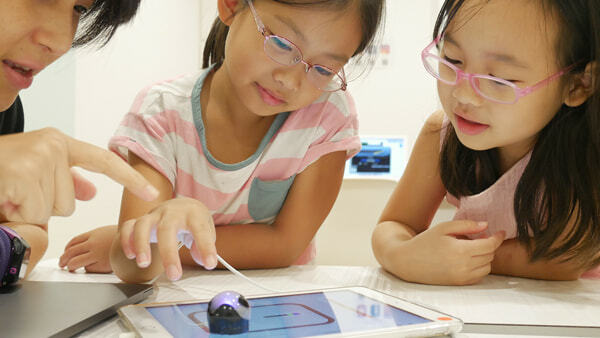 All of us believe in the importance of providing a holistic, quality education in Computational Thinking, and that learning has to be fun, inspirational and meaningful. Computational Thinking is a mental skill, a repertoire of analytical and problem solving strategies that your child can apply in the course of their lives, across any discipline, regardless of career, and even in the absence of a computer. The beauty in Computational Thinking is that it bears more than analytical and problem solving skills. It encompasses a way of imagining, recognising analogies and constructing metaphors. A computational thinker is able to systematically approach a problem, and design elegant and efficient algorithms. What is coding? Coding is simply a technical skill to implement solutions that the computational thinker has devised. Sometimes, both coder and computational thinker are the same person. By analogy, learning to code is akin to learning to use a paintbrush. While mastery with the paintbrush requires deftness and skill, it is one part of many in the creation of a masterpiece and the emergence of a Master Artist. The Computational Thinker is like the Master Artist who is able to use any tool other than a paintbrush to create a masterpiece. As practiced computer scientists and computational thinkers, we understand that coding is a tool, a means to an end, a cog in a machine, while Computational Thinking is a deeper skill and mindset. This is why we design our curriculum with an emphasis on Computational Thinking and a balance of coding skill and application domain. We take great pride and energy to create an empowering learning context as part of quality education in coding and Computational Thinking. 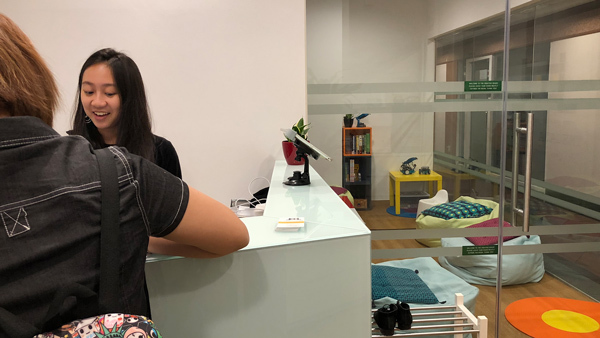 Stepping into LCCL Coding Academy transcends you into a modern learning environment that cultivates inspiration, creativity, collaboration and fun. 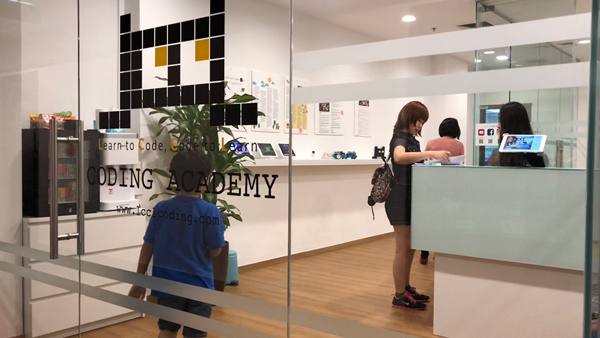 LCCL Coding Academy is one of the earliest Singapore-grown coding schools, established and known as The Kid Coders in 2012. Over the years, hundreds of students have grown with us in their journey into coding and Computational Thinking. While serving our learners, we too have grown in purpose, as well as the breadth and depth of our curriculum and teaching methodology. 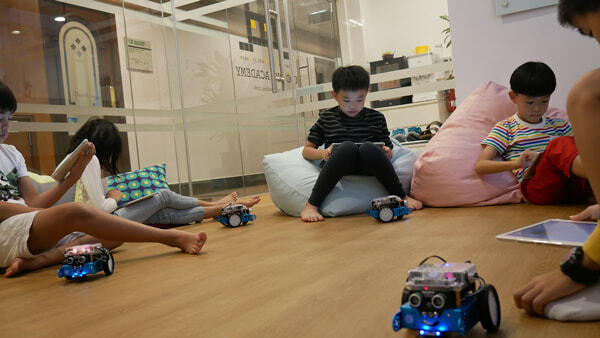 LccL Coding Academy is one of the earliest Singapore-grown coding schools, established and known as The Kid Coders in 2012. Prior to its establishment, founder Juliana Ung had led tutorial classes on programming methodology, data structures and algorithms at the National University of Singapore during her senior years as a Computer Science major. While working for a high-tech company in Stockholm, she experienced how relevant computational thinking is in all areas of the business and the far-reaching benefits computational technology brings to the world. 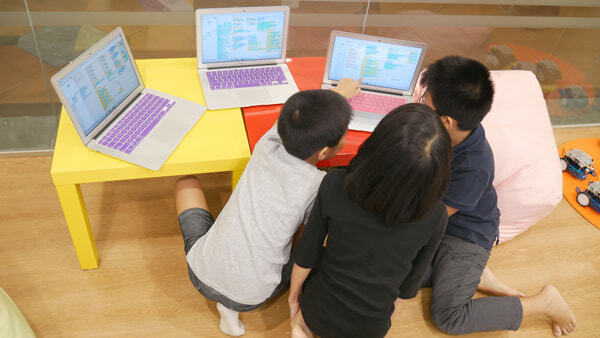 Noticing that many of the young are becoming passive consumers of technology, she established The Kid Coders to expose children and teenagers to the creative world of coding and computational thinking, with the goal of transforming the younger generation into active creators. 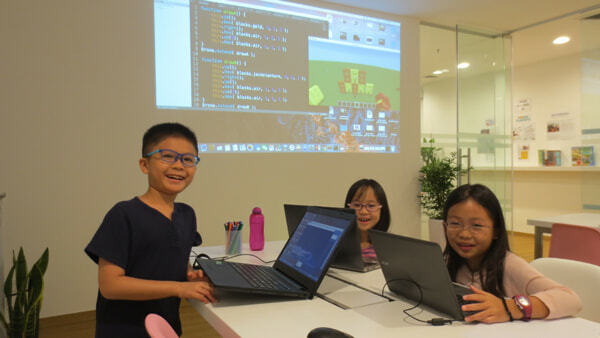 Since then, hundreds of children and teenagers have trained and grown with The Kid Coders through its fun, engaging and hands-on holiday workshops; the most popular being the Game Programming Bootcamps and the Minecraft Coding classes. 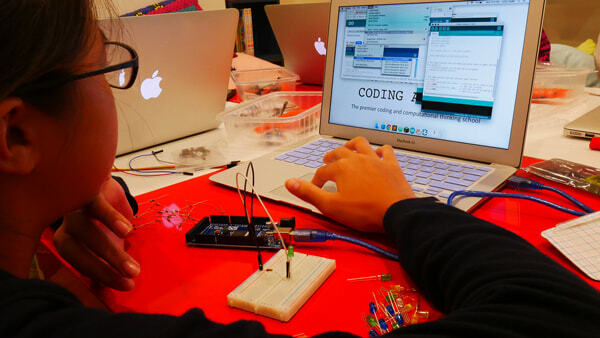 In the first years of The Kid Coders, she took time off from her full-time employment at an IT firm to run the holiday workshops. In 2013, while providing IT consultancy to the government of Rwanda, Juliana experienced first-hand underprivileged communities that could progress much more with quality education and exposure to info-communication science and technology. This experience became a calling and gave her a greater purpose. 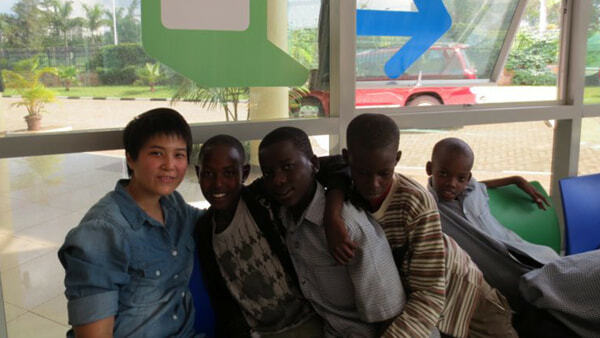 Juliana with local children while in Rwanda. 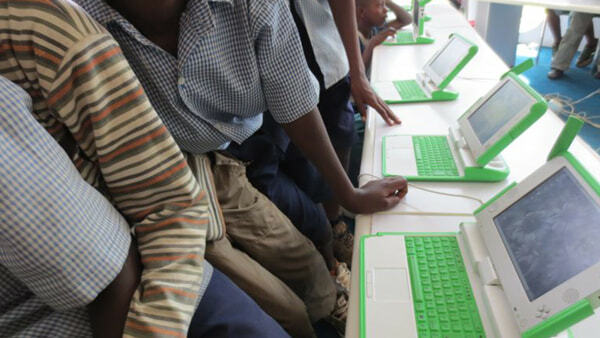 The children were using laptops by the One Laptop Per Child (OLPC) initiative. They had MIT Scratch installed. Two years later, she took a leap of faith and left her IT career to concentrate on The Kid Coders. Her vision: to empower a new generation of creators, learners and teachers who make the world a better place with technology. She believes this requires providing students with uplifting learning environment and quality teaching, so that students undergo holistic growth in both technical skills and humanistic values. 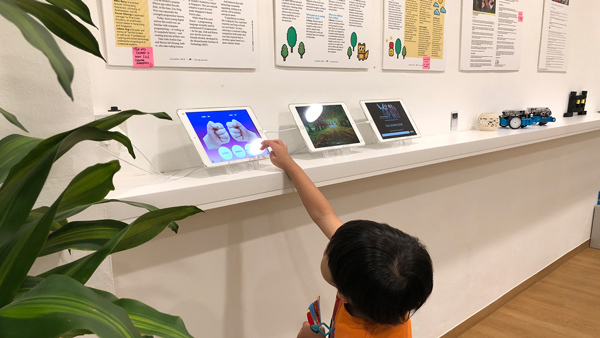 With this, Juliana continues to refine The Kid Coders’ teaching methodology to include principles and practices from human potential technology, paying attention to the littlest details that give students the best learning experience. In 2017, Juliana rebranded The Kid Coders to LccL Coding Academy to better represent its mission and inclusiveness to all age groups. 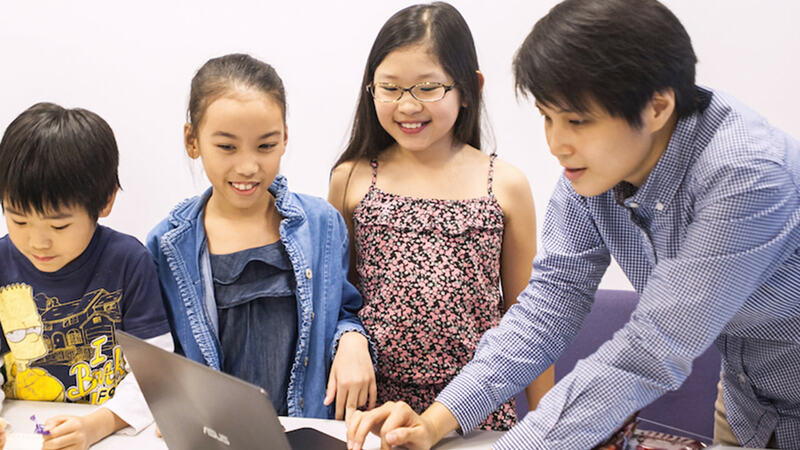 LccL Coding Academy received additional capital investment, expanded its leadership team and introduced Prof Leong Hon Wai to its curriculum advisory. This is a hallmark growth, as the leadership and curriculum are strengthened further with veteran computer scientists with decades of experience in computational thinking. These expansion efforts are geared towards providing the best coding and computational thinking education to our learners, as we prepare all for the digital future and empower the new generation to make a positive difference to the world. Juliana graduated from the School of Computing, National University of Singapore (NUS) with a Bachelor of Computing (Hons) in Computer Science and minor in Technopreneurship. She was an awardee of the National Infocomm Scholarship by the Infocomm Development Authority (now IMDA). She has professional IT experience at software firms in Stockholm and Singapore specializing in 3D haptics technology, multimedia computing and enterprise systems. Since 2009, her passion in teaching and love for creative problem solving led her to teach and tutor hundreds of pre-schoolers, primary and secondary school-goers, and university students. 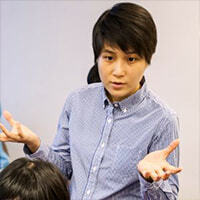 In 2012, she founded The Kid Coders and started to conduct coding workshops to students in Singapore. In 2017, Juliana expanded The Kid Coders with a new leadership and advisory team, and rebranded to LccL Coding Academy. Poh Min has 23 years of investment experience. He holds a BSc (Computer Science) with 1st class Honours from NUS. His major was in computer algorithms. He also holds a CFA designation. As an Honours year student, he was a pioneer student tutor for a pilot program that involved the teaching of coding to undergraduates. Despite graduating as the top Computer Science student and having no knowledge at all in business, finance or economics, he chose the road less travelled and went on to carve a career in finance. He spent 9 years in New York and Singapore as a Senior Investment Manager at GIC, where he was instrumental in pioneering the discipline of Quantitative Investing. His enterprising spirit eventually led him to leave GIC for more uncharted waters, founding one of the first quantitative hedge funds in Asia. Having operated for 14 years at what many would consider the pinnacle of the asset management industry and in a notoriously Darwinistic competitive environment, the fund is today one of the oldest surviving hedge funds in Singapore. Poh Min attributes a large part of his success in finance to his training in computational thinking and his ability to harness the power of technology towards solving challenging real world problems. Having benefited from these empowering qualities, he believes they should form an integral part of every child’s holistic development, regardless of his/her chosen career path. His involvement with LccL is his small way of giving back as he seeks to promote coding as the new literacy. Jee Ngee has been involved in financial technology and data science for over 25 years. 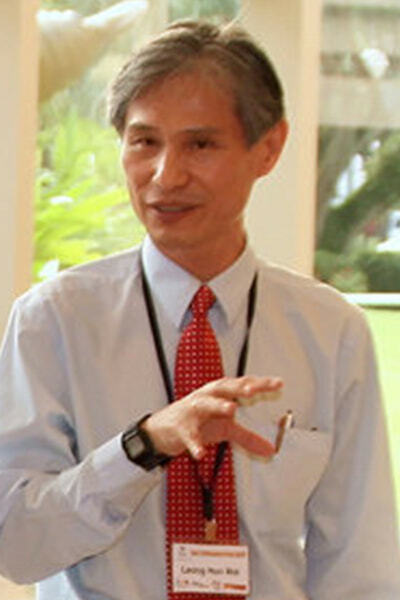 He graduated with a BSc (Hons) in Computer Science from the National University of Singapore in 1990, and completed his MBA at NYU in 1997. Starting his career in GIC, he helmed its first quantitative investment unit in 1997, which developed investment trading models based on analyzing large amounts of financial market data. In 2000 he headed the first knowledge management unit in GIC, which initiated moves to process unstructured data, managed information from a variety of sources, and built tools to facilitate collaboration. 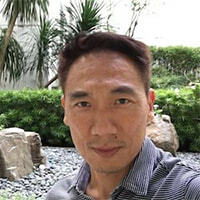 He was also a seed investor in one of the earliest learning management systems in Singapore - AsknLearn.com. 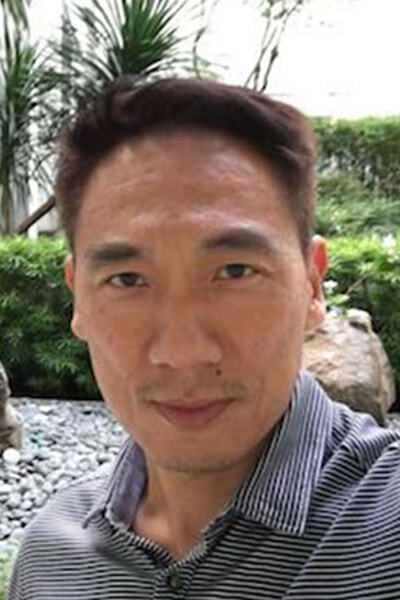 Jee Ngee is presently an advisor at Octagon Capital (a quantitative equity hedge fund), as well as actively involved in several start up businesses. Jee Ngee is grateful for this early induction into the world of computer science, being one of the earliest students of the junior college computer science program. His main vision at LCCL Coding Academy is to make critical IT skills accessible to everyone. 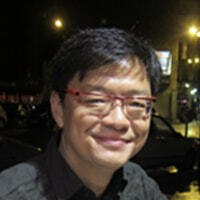 Prof Leong has 30 years experience in researching and teaching computer algorithms and computational thinking. 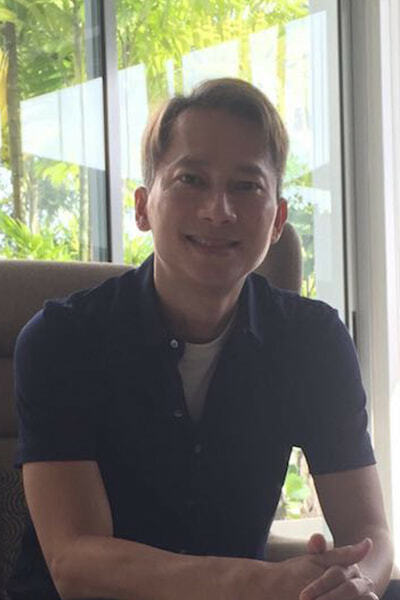 He received his PhD in Computer Science from UIUC and BSc (1st class Honours) in Mathematics from the University of Malaya. 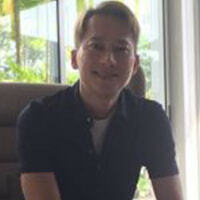 He is currently an associate professor at the School of Computing in NUS, where he joined in 1987. From 1993 to 1997, he was the Division Head for Computer Science. He was also the Curriculum Committee Chair between 1993 to 1995. 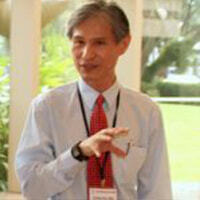 From 1997 to 1999, he was also involved in the MOE Curriculum Review Committee on the new A-level Computing Syllabus. 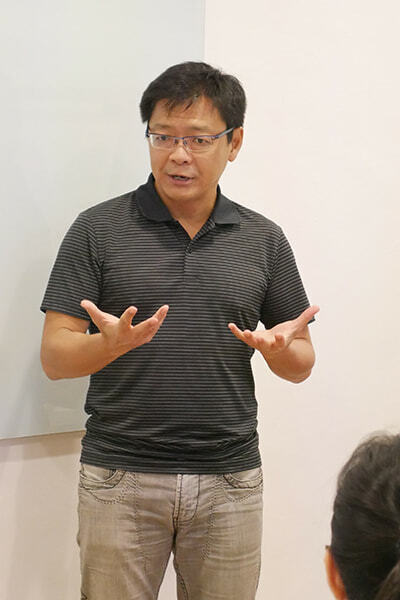 As a researcher, Prof Leong’s focus is in the design of efficient computer algorithms for solving all kinds of complex problems, ranging from computer circuit design, transport, logistics to biology. As a teacher, Prof Leong is widely respected for his engaging, passionate and inspiring approach. He specializes in finding simple ways to explain complicated subject matters and loves to integrate computational thinking in his classes. His teaching often emphasizes creative problem solving. He has won numerous teaching awards over the years, including the Annual Teaching Excellence Award 2007/08 from NUS, as well as the inaugural Inspiring Mentor Award given by the NUS Office of Alumni Relations in 2009. As an evangelist, Prof Leong enjoys spreading the fun of algorithms and computational thinking via outreach activities and lectures, such as MakerFaire Singapore. He is particularly passionate about working with young students. In 1992, he started the Singapore training program for the International Olympiad on Informatics (IOI). He remained the Chairman of the Singapore IOI Committee until 2004. He is also actively involved with the organization of the annual CXA hackathon – a highly popular nationwide coding competition. In 2008, he started CXA junior category for primary school students. At LccL, he is looking forward to leveraging on his vast experience to contribute to the school’s teaching pedagogy as well as curriculum design. Bruce has 23 years of technology experience. He graduated with a BSc (Computer Science) from NUS. Over the years, he has helped many organizations improve their performance through technology. He has planned, implemented and operated technology systems across a myriad of industries including public sector, transport, logistics, industrial equipment, agriculture, banking and healthcare across Asia. Bruce’s first encounter with the industry began from an internship with Accenture. He discovered his passion for applied technology and ditched the opportunity to pursue a NUS Honours year program to begin a 19 year odyssey with Accenture. In 2013, he left his MD position to jump into the exciting world of Health Technology, a combination of 2 hot industries. He is now the CEO of Integrated Health Information Systems (IHIS) and the CIO of Ministry of Health. Between these two roles, he is overall responsible for the advancement of healthcare technology in Singapore. Bruce serves on the boards, excos and advisory panels of various technology companies, IT societies and two local universities. Bruce believes technology is the great leveler of society in the 21st century. Anybody with any background can make a positive impact to the world and themselves, if they have computational thinking capabilities. © 2018 LCCL Coding Academy Pte. Ltd. UEN: 201704083H.